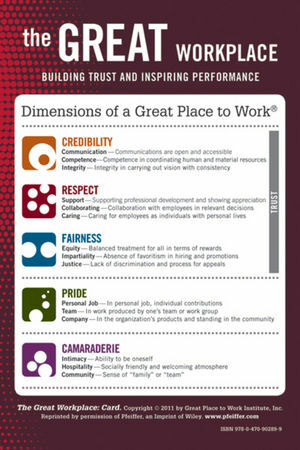 Trust is the key to developing a positive workplace culture in which employees have pride in what they do and enjoy their colleagues. This training package and assessment shows how to implement this concept in the workplace by providing strategies and development activities. 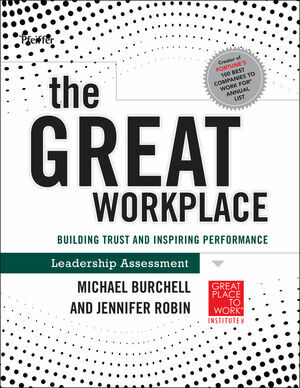 Created by the authors of the FORTUNE 100 Best Companies to Work For List, it is designed to increase employee productivity and boost performance. Companies currently on that list or trying to get on it, consultants, executives, team leaders and managers, will want to learn and utilize the effective strategies in this program. Michael Burchell, Ed.D. 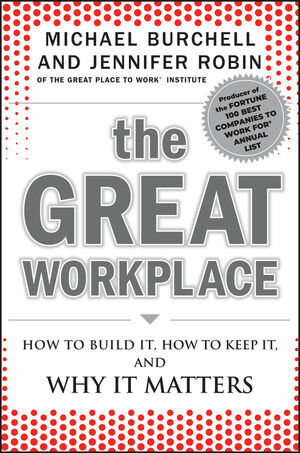 (Philadelphia, PA) is Vice President and Senior consultant with The Great Place to Work Institute. A sought after speaker at conferences around the world, he has worked with companies across a diverse industry portfolio, and with senior leaders in positioning the workplace as a competitive business. Prior to joining the Institute, he focused on workplace development issues at W.L. Gore & Associates (one of four companies listed in every annual rankings of the FORTUNE 100 Best Companies to Work For). Jennifer Robin, Ph.D. is a research fellow at the Great Place to Work Institute. A former consultant with the Institute, she currently teaches in undergraduate, master's, and professional programs at Bradley University. She is the coauthor of A Life in Balance. 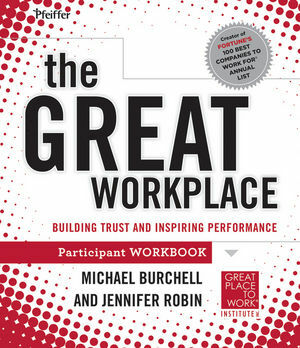 The Great Place to Work Institute (San Francisco, CA) is a global research and consulting firm with 32 affiliates around the world. The Institute uses its Trust Index employee survey and Culture Audit to produce the FORTUNE 100 Best Companies to Work For and the "Best Small & Medium Companies to Work for in America" lists in addition to best companies lists in 40 countries.